2 bunkhouses, each sleeping up to 35 people, with commercial kitchen, large dining/common room, drying room and storgage for bikes/boats, outdoor gear etc. Free parking for 10 cars at both buildings. 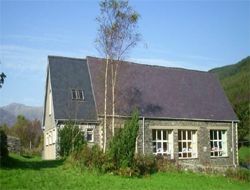 Ty'n y Berth and Bryn Coedwig are 2 Mountain Centres offering bunkhouse style accommodation, close to the village of Corris, between Machynlleth and Dolgellau, on the southern edge of the Snowdonia National Park. Within 20 minutes drive from the Centres are several mountain bike trails, mountains, rivers and the sea. 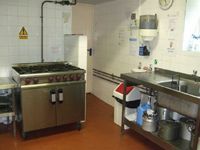 Accommodation is available in either or both of our buildings, each sleeping up to 35 people in warm, comfortable mainly bunkroom style accommodation. 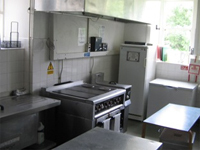 The centres provide ideal accommodation for groups looking for walking, climbing, biking and adventurous activities. There are also plenty of family friendly activities nearby including craft centres, steam railways, swimming pools and of course, the beach! 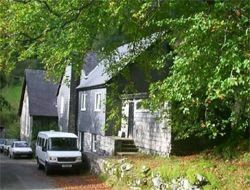 Corris Bunkhouse Accommodation is situated at Ty'n y Berth, Corris Uchaf, and Bryn Coedwig, Aberllefenni, both near Corris, between Machynlleth and Dolgellau, in North Wales. We are situated on the southern edge of the Snowdonia National Park.